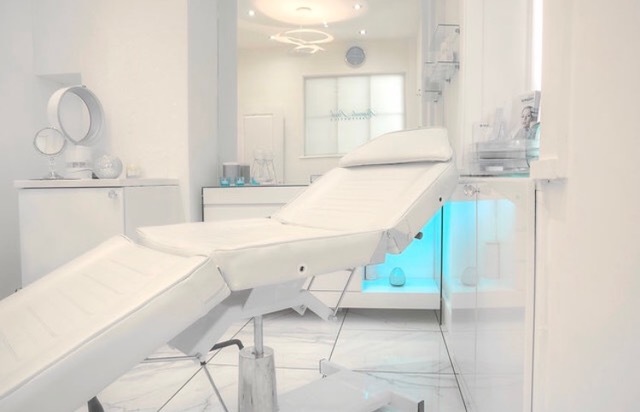 Standing outside Regents Park Aesthetics, I knew that this clinic was going to be a totally luxurious and high end treatment experience. 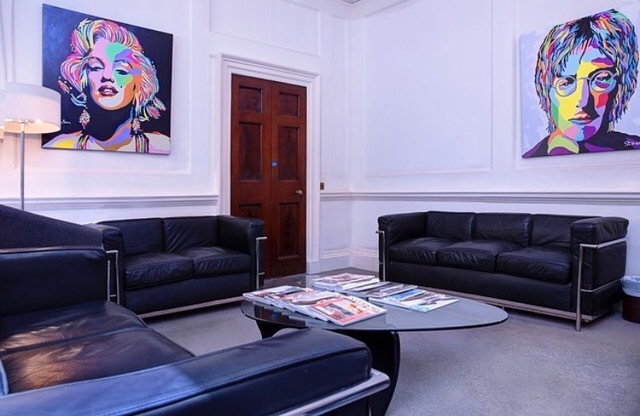 Kay Greveson met me at the door in Wimpole Street and calmly ushered me in to a comfortably chic understated waiting room, and then on through to the Aesthetic Clinic within. Streaming with glittering walls, mirrors, sharp white light and the Regents Park signature colour turquoise, every minute detail had been cleverly considered – even down to the matching colour of the handwash! Stunning mirrors complimented the clean sparkling decor and I was already thinking “I want that mirror, or that light”. It felt like I was in a gleaming hospital treatment room glistening with the promise of a more youthful appearance. Kay Greveson is a testament to her work, and has a wonderful fresh pretty face, so of course, I just had to ask if she has had any work done herself and with honesty she indulged me! I was so impressed that I just wanted what she has! It’s not quite that simple though, so after a thorough medical discussion, in which she fully explained how to obtain the results that I wanted to achieve, Kay then assured me of the process. The atmosphere was very calm, fragranced by the talking piece candles, and as I lay back on the ultra comfortable chair I knew that I was indeed in the hands of someone who knew their craft. Kay cleansed the areas I was to have botox applied to, and then marked all of my many problem areas and with that I fully expected a sharp sting or scratch… but there was nothing! The needles that Kay uses are absolutely tiny and totally pain-free, and so it began, as she deftly moved around my face, and calmly explained what was happening, reassuring me all the while. With a true professional at work, in a whoosh, the treatment was sadly all over! I was actually so relaxed that it was hard to drag myself back into the present – so much so I did not want to leave! Kay explained that the results are not instant and would take effect within four days, and that she would be in touch to see how I was feeling (which she did within 24 hours). The great news is that each time I look into the mirror in very harsh daylight now I can see a less tired and lined version of myself! There is no stinging, only a slight tightening and I can see great results. My face still moves and I do not look like I have been scared to death with that awful stretched look either! All I can see is a shinier fresher me. I now look forward to seeing my reflection and when I bumped into friends they did notice that I looked “really well and sparkling” a bit like Regents Park Aesthetics itself. I didn’t even mind when the wind blew and my now line free forehead was revealed to the world! I am now booked in for a review of my treatment in two weeks time and frankly I cannot wait to go back! Now, what can I have done next?!! !